What is Ninja Forms? This is our Ninja Forms review for all of Ninja Forms extensions. This is a best ninja forms extensions list. Ninja Forms Wordpress is a powerful form creator. 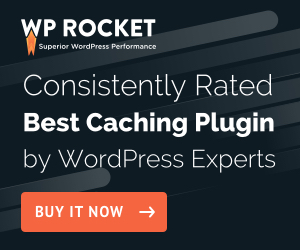 It isn’t code heavy and it won’t bog down your Wordpress site. Plus, it's free to use via the Wordpress.org repository. It has a lot of great tools and its drag-and-drop user interface makes it simple to use. This is the second part of our Ninja Forms review for Ninja Forms best extensions. The Ninja Forms Wordpress plugin integrates with a lot of plugins. There are some capability issues when used with Contact Forms 7. However, you don’t need two form creators cause it’s redundant to use both of them. The best part about Ninja Forms is it’s 40+ extensions. They really do add value to their free Ninja Form plugin. Ninja Forms’ Stripe extension is perfect for those looking to accept payments via Stripe on their Ninja Forms. The Ninja Forms Stripe extension provides an efficiently secure checkout process without any redirects to your store's checkout page. It's one less step for your clients to pay for your services. Stripe has become a global leader in international commerce. Stripe currently operates in over two dozen countries around the world and their bank level security protocols protect billions of dollars worth of transactions annually. With Stripe's state of the art security, Ninja Forms Stripe extension offers incredible flexibility in how your WordPress forms collect payments from your customers. Stripe is the safest way to accept debit or credit card payments for Wordpress. Ninja Forms' Stripe extension lets you to accept debit or credit card payments directly from your WordPress website via Stripe Checkout. It helps create a better checkout experience because customers don't have to leave your Wordpress site; they can complete any transaction on your site through a secure Stripe Checkout model window. Ninja Forms Stripe extensions provides the most secure, flexible, and convenient way to accept debit or credit card payments through Wordpress forms. Form finishes submitting and processes any custom actions like notification email, success messages, redirects, and more! Customize the Stripe Checkout modal with your company name, logo, tagline, and more! * Stripe requires an SSL certificate on your site to communicate payment data securely. Don’t forget to set-up an SSL certificate to protect you and your customers. ** Please note that only ONE payment gateway can be used per form. You can not use more than one at a time, i.e. Stripe and PayPal will not operate on the same form. Ninja Forms’ PayPal Express extension is the perfect extension for bloggers and businesses who want to collect payments via forms from one of the largest and trusted online payment systems. Customers are sent to PayPal to complete a secure transaction. PayPal is one of the global leader in international payment systems. PayPal has been around for ages and one of the most trusted payment systems in the world. PayPal provide secure online transactions via their website. It's being used by millions of websites for years and it will be used by millions of websites for years to come. Ninja Forms has integrated PayPal Express into their forms to allow you to accept payments using Ninja Forms. Ninja Forms' PayPal Express extension lets you to accept debit card payments, or credit card payments, and PayPal payments. It leverages PayPal's powerful and secure processing engine to get a payment total, perform a checkout, and send your customers to PayPal to complete the transaction. Your customers will automatically be transferred back to your form once they complete the transactions. They can also be greeted with a "Success message" or redirected to a "Transaction Completed" page. It's completely up to you how you want to handle the finish transaction. Customize the PayPal transaction with your company name, logo, tagline, and more! Ninja Forms’ Zapier extension is a perfect for bloggers, influencers, websites, and businesses that want to save time by automating their processes. Zapier's 300+ web app integrations provide endless possibilities to save you time. It's a must for those on a limited budget and can't afford to hire staff. Ninja Forms Zapier extension allows you to integrate Zapiers 300+ web apps with Ninja Forms. However, you will need to open a Zapier account. Zapier is free to use, but the free account is limited to two-step zaps. The setup is simple. Zapier works off of triggers. Triggers are events to set off the next event like a domino effect. With the free Zapier account, the chain of events stops at the 2nd domino. Make sure you have a Zapier account. Sign up for free here. Ninja Forms File Upload is the perfect extension for those who need to collect additional data, documents, or other files for a form. Users can securely upload reasonable size files that could be sent Dropbox, Amazon S3, or your server. The upload files can be in PDF, Excel, Word, picture files, or videos. Why would you need Ninja Forms File Upload? Ninja Forms Excel Export is the perfect extension to analyze all your form submissions. Excel makes it easy to group your submission by field and drill down to specific users you want to target. Ninja Forms Excel Export eliminates export errors and time fixing those errors. Ninja Forms Excel Export comes with the option to designate your CSV separartor like pipes delimited, commas, spaces, etc. It's a useful to target specific users. For example, you're a Wordpress designer and you're releasing a plugin that integrates with WooCommerce. You send a survey out to your clients asking what eCommerce plugin they're using for their Wordpress site. Ninja Forms Excel Export helps you export all the submission into Excel then filter the clients using WooCommerce. 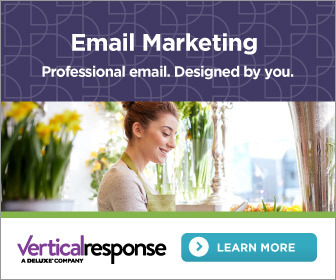 You can now send out marketing campaigns to those clients. *Please note that the “ZipArchive” PHP module is required for this addon to run. Please contact your host to ensure compatibility. Ninja Forms Vimeo Uploader is perfect extension for those creative souls in the world. It's perfect for travel, vlogs, and cooking video collaborations on Vimeo. Users can upload their videos on your site to post directly on your Vimeo account without logging in or having to visit Vimeo. You can restrict video uploads to certain Wordpress roles. This is a great tool to have because it only allows certain members or contributors to upload videos. It provides controls to the process where people might take advantage of the feature. In addition, you don't have to give out your Vimeo password to people. 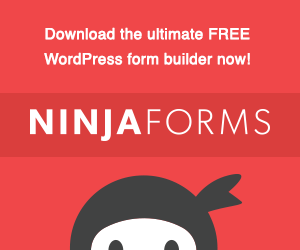 Check out our Ninja Forms Review: Best Ninja Forms Extensions Part 1 here.